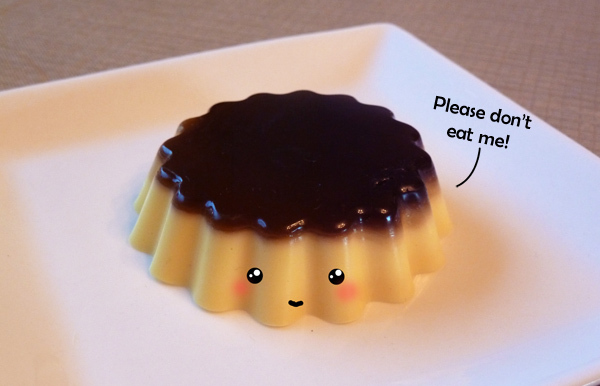 Wouldn't you like a little flan? Sorry! 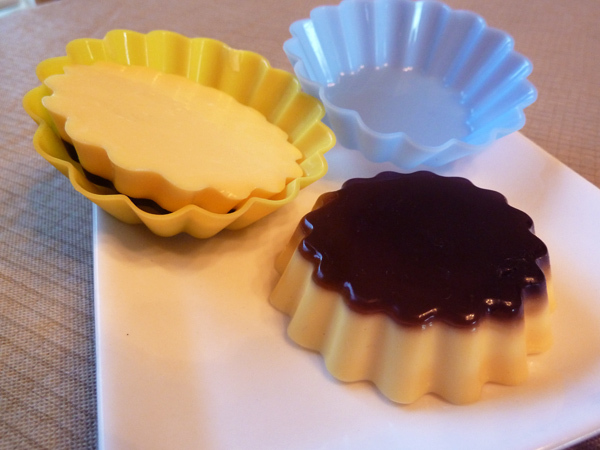 This flan is actually soap! Haha! Specifically, a cupcake mold filled with a layer of clear glycerin soap (2 drops red, 1 drop yellow and 1 drop green), and a layer of shea butter soap (2 drops yellow). The scent is apple pie, since I don't have uh, flan scent. I don't know that anyone wants to smell like an egg custard anyway. I typically have an aversion to soap that looks like food, but these are kind of cute! I'm going to send them to Penga-Sis as part of her summer camp care package. 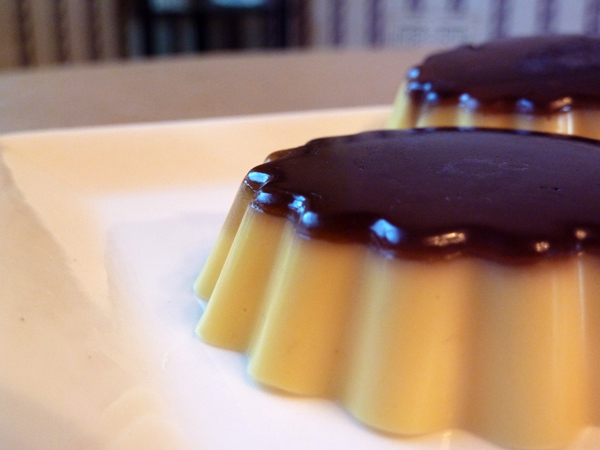 Now I've got a craving for real flan though. 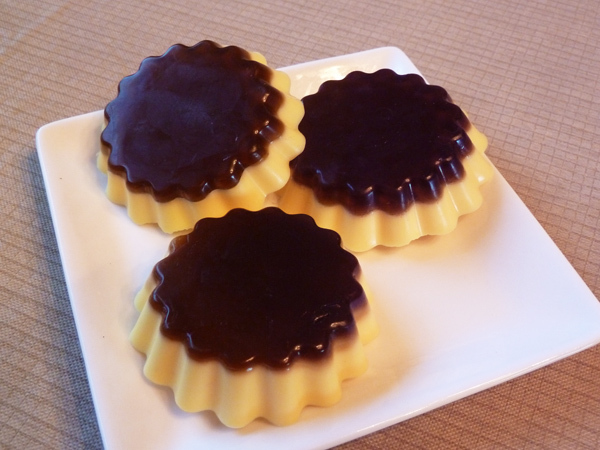 That's the high-calorie side effect of using flan soap. you totally tricked me! i love the flan's rosy cheeks. Not like. LOVE. Super cute and realistic!! Pena-sis will love them! I'm so glad you mentioned that they were soap, otherwise I was going to be insanely jealous at how you have absolutely perfect-looking flan! Looks good enough to eat! Wow, those are SO pretty! Great job! !